Using plastic canvas and ribbon or yarn you can create a beautiful easy to make cross. 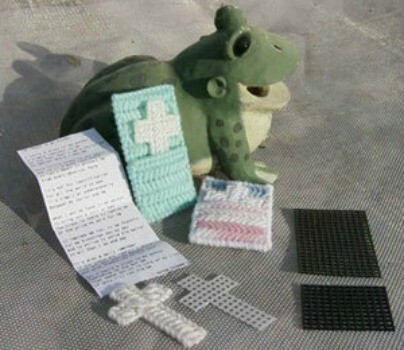 This is a guide about making a plastic canvas cross craft. This may be confusing, but once you start making it everything will start making sense. Write if you need more help. I do alot of plastic canvas and I am always looking for new patterns. This is adorable and with easter coming up and all the readers in my family, I think this will make wonderful easter gifts. Thanks for the pictures, they are very helpful. I have a question about plastic canvas cross bookmarks. 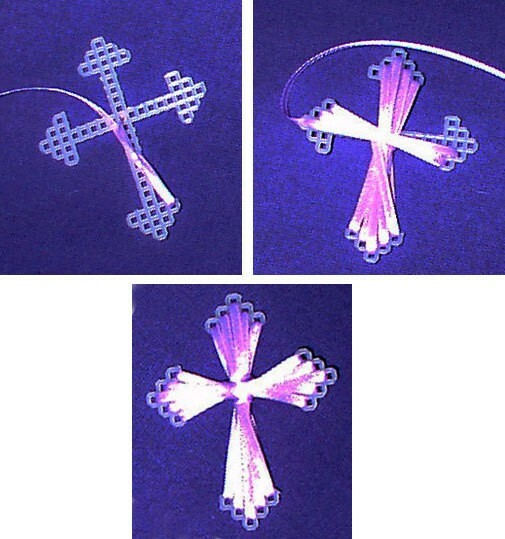 I used to be able to find the crosses already cut out in this shape. The edges are so much neater on the purchased ones. Where can I find them? I purchase mine at Wal-mart & Hobby Lobby. This link will take you to the Google site. 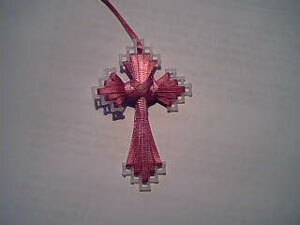 I just typed in "plastic canvas crosses". Sometimes, especially when time if of the essence, Google is a faster way to go. Good luck! Hi Bob, the crosses you are referring to, you can get through www.orientaltrading.com. I get their magazines all the time and have seen them there. Hope that helps! Have you checked at JoAnn Fabric? They used to carry them but I haven't checked lately? I picked up this plastic canvas cross at a yard sale or thrift store and I can't find a pattern anywhere on how to make it. Does anyone have a pattern for this or know where I can get one? It is a very simple and beautiful craft. I posted the pattern and instructions on this site last spring. You can view it higher up on this page.